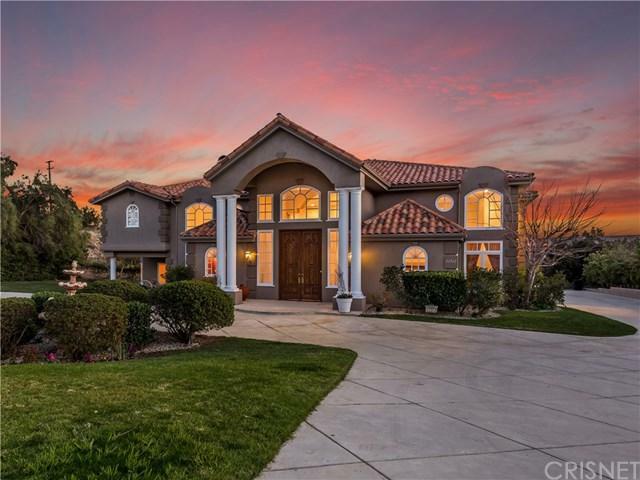 Impressive Mediterranean Estate located in the prestigious 24-hour guard gated neighborhood of Indian Springs Estates. Custom home w/6 bed,8 1/2 bath. 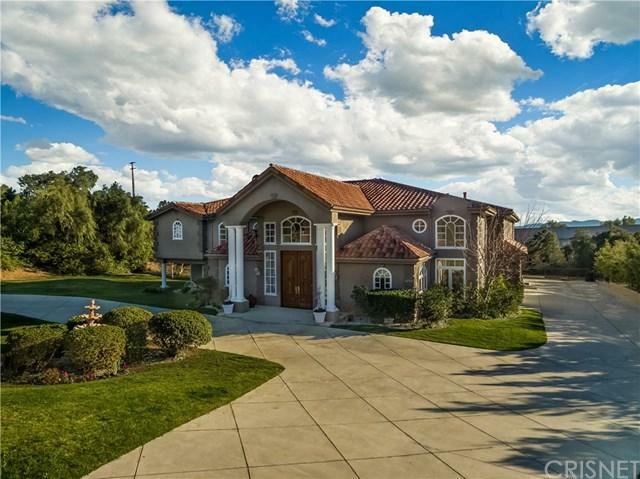 Almost 9,100 sq ft. 2 acre lot .Grand double door entry opens into the 2-story living & dining areas. Imperial staircase leads to upper floor.Large kitchen w/ granite counters,Viking double oven, 4-burner cooktop w/ grill & warming drawer. Double dishwashers, side by side Sub-Zero Refrigerator/Freezer. Oversized walk-in pantry. Kitchen open to sunny breakfast room & Family Room w/bar & fireplace. Main level also has an office, guest suite & Billiard room. Travertine & hardwood floors throughout main level. Upstairs the Master Suite is an oasis of luxury w/balcony, fireplace, bar, sitting area & dual bathrooms. One w/sauna, the other w/a jetted tub. Large walk-in closets. Attached bedroom w/separate entrance that can be used as a nursery or gym. 2nd floor also has 4 more spacious bedroom suites. Rear staircase & laundry chute allow for convenient access to large main floor laundry room. Circular driveway & parking area supplement the 2 garages, w/parking for 5 cars. Private backyard, w/ large grassy area, pool, spa, waterfall & pool cabana w/bath & fireplace. Coveted for it+GGs privacy & convenient access to 118 Fwy. 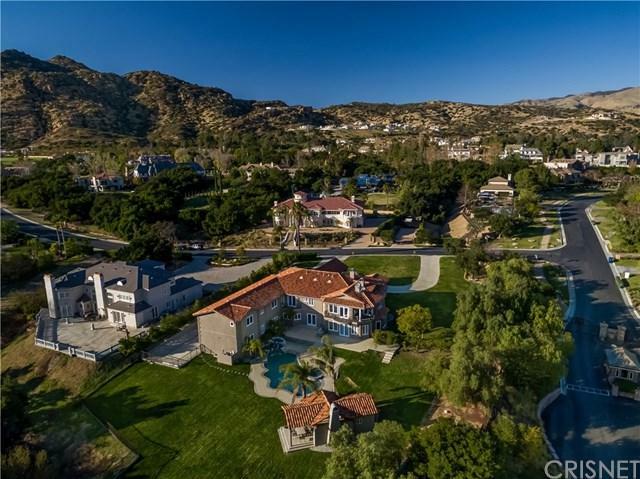 This community, surrounding by the topography of the Santa Susana Mountains, w/it+GGs rolling rocky hills & rustic landscape has long been loved by the Hollywood film community, professional athletes & entertainers.